Little did I know that I would find myself smack in the middle of a combustive learning opportunity on racial equity. That Symposium has since led to the most significant organizational commitment to racial equity and health justice in the integrative health world – and perhaps among any healthcare profession anywhere. 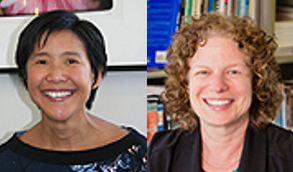 Six years later, on June 23, 2018, at the annual conference of Integrative Medicine for the Underserved (IM4US), two CPMs, one black and one white – Tanya Khemet Taiwo, CPM, MPH and Mary Lawlor, LM, CPM, respectively – collaboratively presented on the strategy and steps taken by the National Association of Certified Professional Midwives (NACPM) 6 years after being shaken awake to the forms of their own institutional and individual racism. After describing NACPM’s remarkably elaborate and thorough organizational response to the upheaval in 2012, Lawlor, the white midwife and NACPM executive director, courageously shared that at the second such Symposium in May 2018 – and despite all those good acts and intentions – the white women in leadership felt they’d made similar mistakes again. The unfolding story appears to be an instructive look at a classic healing crisis in process. Not that there are racial issues among licensed midwives that distinguish them from other professions. Quite the contrary. Their actions since 2012 attest to that. Yet it seems clear that our festering societal racism that is recently bursting out from its wraps can, paradoxically, look worse when exposed, confronted, and making steps to healing. The midwives story is particularly relevant given the recent call for the integrative medicine community to address the “imperative for health justice.” The straight-talk came via a commentary in JACM-Paradigm, Practice and Policy Advancing Integrative Health (The Journal of Alternative and Complementary Medicine) from Maria Chao, DrPH, LAc and Shelley Adler, PhD, two leaders of the Osher Collaborative for Integrative Medicine. The NACPM is further along than any integrative health organizations in committing to Chao and Adler’s recommendations. The NACPM’s healing process may be seen as beginning prior to the 2012 Symposium. The Symposium, in the outskirts of Washington, D.C. promised to be rich. For the first time a key official with the nurse-midwives would attend, as would leading policy-oriented obstetricians. The CPMs wanted everyone at the table. They reached out to practicing black midwives. These remained more deeply connected to their historic roles in their own communities as primary birth providers than to the increasingly successful professional formation work of the NACPM that had led to partial inclusion in the Affordable Care Act. The then all-white and all female planning team decided to make what to them was a substantial financial commitment: via scholarships, they brought in a cadre of some 20 black midwives to mix with the other attendees. A bombshell was inadvertently dropped by the choice of location. I was complicit in the unconsciousness in that decision. I arrived at the gorgeous, rural retreat center. It was chosen so participants could work and think deeply and without distractions about the profession’s future. By design, the center was a short distance from nation’s Capital, so the program could draw policy-makers. It was formerly a large, working farm. Bike paths wandered lazily through the rolling fields with intermittent stopping places. Benches inviting reading, journal writing, and views of a lake. An opportunity to reflect and relax and think big for the midwifery field. What we white people had not considered was what this apparent serenity could evoke. For some of those invited, the worst forms of human cruelty could erupt from every vista, if one had the body memory to feel them. While the place has a remarkable history for convening groups that have engaged impactful action on social justice, the sense and smell of plantation life was there for the breathing in. Energy ramped up when white midwives “responding out of their unexamined racism to these courageous stories displayed many typical, harmful responses of white people on having their own racism exposed.” Among these: white fragility and conflating white experiences of discrimination with experiences of racism of people of color. The co-presenters at the IM4US meeting described how, as the NACPM notes on its site, “following the 2012 CPM Symposium and the power of the conversation about the influence of racism that emerged at that event, NACPM published these commitments and pledged to work more effectively to eliminate racial disparities in the health of mothers and babies in the U.S.” An additional set of related NACPM initiatives are listed here. And still the Symposium in May 2018 blew up again. Lawlor bluntly told the IM4US audience that, despite all the efforts for inclusiveness, in the hurried run-up to the Symposium – with the typical pressures on a mostly-volunteer organization – NACPM unconsciously reverted to old, get-it-done patterns. A white core took the reins to complete the schedule. Onsite, however, they once again yielded to the desire to take the conversation, and anti-racist practices, deeper. I view the NACPM’s transparent leadership in this work as I do the work of the Donald Berwick-led Institute for Health Improvement (IHI) when it greeted the 1999 To Err is Human report from the Institute of Medicine. Instead of burying the news that at least 100,000 plus medical deaths each year come from the practice of medicine, Berwick and IHI called attention to the history. They felt the shame and urged change. IHI initiated the 100,000 Lives Campaign. They began dissembling the facade that “US health care is the best in the world.” They opened the present movement toward value-based medicine. The NACPM has opened itself to historic forces in need of reconciliation that run deeper and broader even than does the $3.3-trillion medical industry that is complicit in the medical deaths. The engagement and sharing of the midwives in this long process toward racial justice and equity wonderfully resounds with the motto NACPM has on their website: The future begins with the way we are born.